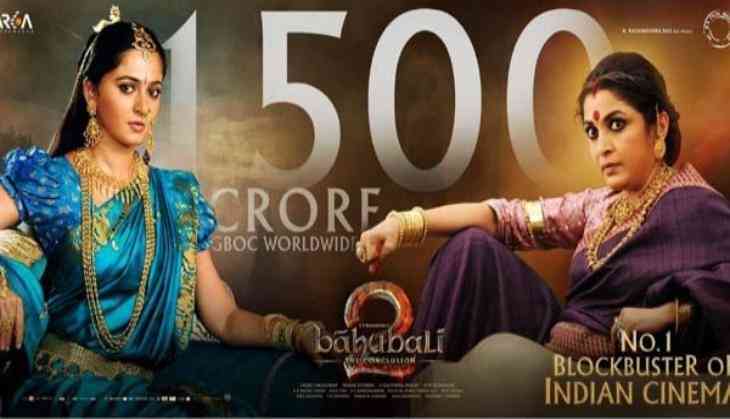 It has been three weeks that SS Rajamouli's magnum opus 'Baahubali 2: The Conclusion' has hit the screens and since then, it has done nothing but break every record at the Box Office. And, the movie is still unstoppable. The movie's official Twitter handle shared the news of the film crossing the magical figure of 1500-crore at global Box-Office. They captioned the snap, "It's getting Bigger and Bigger... SUCH A REMARKABLE MILESTONE!! THANK YOU, EVERYONE, FOR YOUR SUPPORT! #1500CroreBaahubali." Karan Johar, one of the producers of the movie took to Twitter and shared the news that the film's Hindi dubbed version has created history as it has earned more than Rs. 450 crore at the domestic box office. The film went past the worldwide record of ' PK' at Rs. 743 crores in just six days. The movie stars Prabhas in the titular role and has Rana Daggubati, Ramya Krishnan and Sathyaraj in other pivotal roles.